I began writing about wine when I returned to Australia following a posting in the Australian Embassy in Japan as Minister (Commercial) and Senior Trade Representative. Over the past three decades I have been a feature writer, columnist or contributor covering a wide range of wine-related subjects for a range of reference books, and wine publications around the world. The reference books I contribute to include The Oxford Companion to Wine, The World Atlas of Wine and The Sotherby's Wine Encyclopedia. I also conributed to a ground-breaking text book on wine business topics, called Wine: A Global Business - see report at the bottom of this page. Wine Report 2007 can be purchased online from Amazon and all good bookstores. The 3rd edition of Wine Report continues the much welcomed publication of the authoritative annual update of the world of wine, by region. The Top 10 lists in each regional chapter are increasingly seen as benchmark assessment points by both the industry and wine consumers globally, and are eagerly awaited by the growing readership. 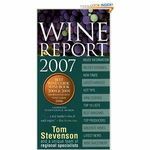 Wine Report 2006 can be purchased online from Amazon and all good bookstores. Wine Report 2005 is the second edition of the annual update of the global wine scene - aiming to provide a one-stop referene on what has happened in the wine world during the previous 12 months, full of inside information on every wine region. Wine Report is put together by Tom Stevenson, well known author of many classic wine references, including The New Sotheby's Wine Encyclopedia. He has assembled a team of specialists to present readers with the latest, region by region. Denis Gastin has contributed the section on Asia. 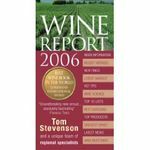 "Written by one of the world's top wine authorities along with a team of experts reporting from every wine region, Wine Report 2005 is the essential insider's guide to the world of wine. 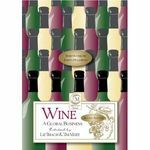 The book provides readers with the latest wine information, including hot tips on recent vintages and the best bargains. Rounded out with helpful Top 10 lists, local prices, and good wine investments, the Wine Report 2005 is a must for every wine enthusiast who wants to keep up with the constantly-changing (and sometimes daunting) world of wine." Editor Tom Stevenson reviewed two of Denis’ Top 10 wine selections and ranked them in his Top 100 Most Exciting Wine Finds for 2006. They were the Dragon Seal Huailai Reserve Cabernet Sauvignon 2002 (from China) and the Domaine Sogga Unfiltered Chardonnay 2002 (fromJapan). Wine Report 2005 can be purchased online from Amazon and all good bookstores. Wine Report 2004 is the first edition of what will be an annual update of the global wine scene - aiming to provide a one-stop reference on what has happened in the wine world during the previous 12 months, full of inside information on every wine region. Denis Gastin has contributed the section on Asia. For his contributions, Denis gathered together some specialists with different backgrounds and open minds and tasted with them a total of 128 of his own personal selections from across the whole region. A newspaper article on that tasting was written by the wine columnist for the Sydney Morning Herald, who participated in the tasting. The article can be found here. "The first edition covers every well-known wine-producing region in the world (says Tom Stevenson in his Introduction), all the lesser-known, and many of the most obscure. India, Japan China? Old hat. Denis Gastin has got them covered in detail, but he also has news on wines from Thailand and South Korea. Even Bali". A tasting was held at the launch of Wine Report 2004. Eighteen interesting wines from around the world were selected for the tasting, including two Asian wines nominated by Denis and included in the '100 Most Exciting Wine Finds' (in the world) by Tom. "Wine Report's antipodean contributors...have done a fine job with Denis Gastin in particular somehow managing to report on an entire continent, Asia, with depth and brio all the way from his base in Sydney"
Wine Report 2004 can be purchased from Amazon UKor Amazon US. The book is distributed in Australia by Penguin Australia. It is available at most Dymocks, Collins Booksellersand Angus & Robertsonstores and other quality outlets. Mack Schwing, after a stellar career with global accounting and consulting firm, Deloitte, came out of a very brief retirement to run the Wine Business Program at Sonoma State University. We had met while we were both living and working in Japan in the 1980s: it was wine that brought us together initially and wine that has kept us in close contact in the following years. Shortly after his appointment he invited me to join him in conceptualising the essence of the business models that had made wine a global business phenomenon so that the core skills and resources could be presented in a textbook for students studying wine courses in tertiary institutions. Sonoma State Professor Liz Thach & Kendall-Jackson executive Tim Matz then set out on the task of commissioning leading thinkers and operatives in various fields of wine business to share their thoughts in chapters for the textbook, Wine: A Global Business that was published by Miranda Press. The work that Mack and I began with became Chapter 1: The Landscape of New and Old World Wine. 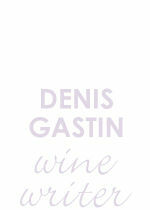 This chapter introduces the concept of a New World Wine model. It provides some basic definitions and identifies the drivers. It discusses formative trends, presents some important statistics, and discusses the response of Old World Wine players. It concludes with an overview of the challenges and opportunities in the current and future landscapes for New World wine. The text is now in its Second Edition, and has been published in several languages. It contains the work of 39 specialist contributors, in addition to the work of the editors, Liz and Tim.